I love surprises! I went to visit my little niece Stella again this weekend (I can't believe she's a month old already!) and when I got back home yesterday I found I have been given two blog awards! Thanks so much guys! First up, Anke over at Anart Island Studios gave me this great blogger friends "gold card". Thanks Anke! As this blog is only a little over a month old, I don't have too many regular followers yet. But some people have been with me since the beginning, and I really appreciate that! 1. Cecilia over at Nifty deserves to win this award because her blog is a great source of inspiration for me, and her comments always brighten up my day. Plus, it's always fun to meet fellow Swedes out there in the craft blog universe! 2. I'd also like to nominate Robyn over at Craft With Me, stop by her blog for some inspiration and a peek into her crafty life! 3. Autumn of Creative Combustion is another of my regular visitors, and all her encouraging comments have really raised my crafty confidence. Thanks Autumn! 4. Next up is Cassie of Gifts for Nonnie. I love her blog - she is a great photographer and I I am in total awe of her embroidery skills. Make sure to drop by and check out her latest pieces! 5. Last but not least, I'd like to nominate Jenny from the lovely blog Jenny S Stitcher and Scribbler. She visited me after I joined her in celebrating her 100th (!!!) post last week, and I hope she'll drop by again in the future! And as if that wasn't enough, I received a second award from Robyn of Craft With Me, thank you so much! 1. I love to visit Laura of Bugs and Fishes and see her latest felt creations. 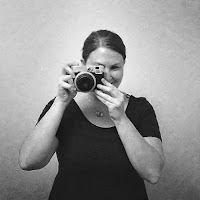 She is also the creator of the Crafting 365 flickr group - these ladies are amazing! 2. Hanna of iHanna's Creative Space is another Swedish crafter and artist who makes the most amazing things! Visiting her is always a great injection of creativity. 3. Goody-goody is another one of my favorite blogs, always an inspiration to visit, and lots of great tutorials! 4. SweetJessie is another great blog filled with vintage:y goodness and beautiful projects. Pay her a visit and see for yourselves! 5. Dandelion Daisy is a blog specialized on ATCs, and I love to visit her whenever I get stuck on what to make for the Craftster ATC swaps. 6. Amy of LucyKate Crafts is an amazing seamstress who designs great stuffies, cushions and craft kits. I especially love her little birdies! 7. Finally, ArtsyMama is one of my all time favorite blogs. It just has it all: great photography, beautiful art, vintage and estate sale finds, fun stories... Make sure to drop by! You are such a sweet heart! Thank you so much for the award! Okay, I'm commenting again because just as I started my last comment my four year old crawled out of bed. Karen, your award has made my week! It has been a crazy rough two weeks here (nothing life threatening, just the ups and downs of life) and your award has really cheered me up! Thank you, Thank you, Thank you! Thank you so much for the award! It´s my first, so that makes it even more special! Thanks so much...you're too sweet! Thanks so much! Sometimes, I wonder if anyone even enjoys my craft blog...glad to hear that you like it!